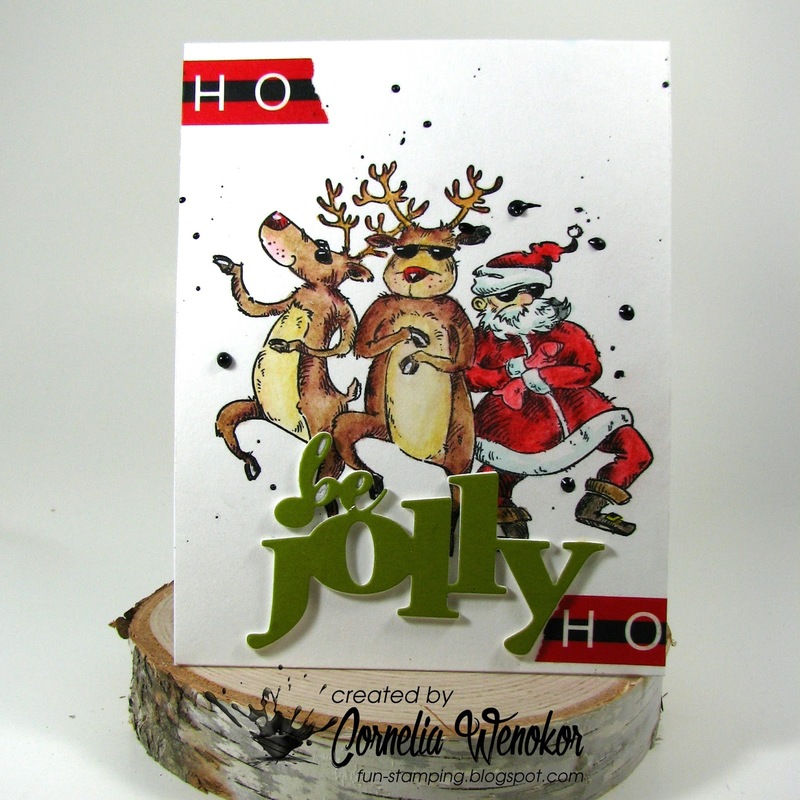 this is the last Challenge of the year for Muse Christmas Visions! All the designers made a card and you can CASE any one or all of them if you'd like! You have the entire month to play along with us! I just got on of the new release stamps from Katzelkraft and had to ink it up. Now that is one cool Santa with his reindeer gang! Colored them with Inktense pencils. The die-cut is from CUTplortions. Mounted it with fun foam. You can go with the colors, the layout or - whatever you like! I hope you all want to play along. You'll have until the end of December to do just that! Oh Santa...get down with your cool reindeer. This made me laugh out loud...and I'm still smiling. You really made this image come alive. Wer hat denn hier für die Figuren Modell gestanden??? That’s a fun card ! What a brilliant image, fabulous card.